It sometimes seems a bit odd to head for the belt or disc sander when shaping wooden components when you have been brought up, as I was, to use edged tools. 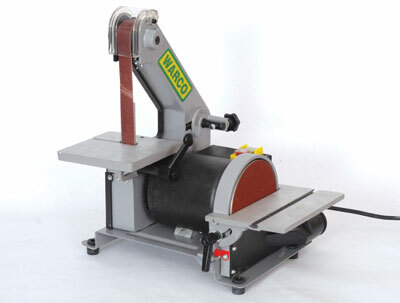 However, used properly and with an awareness of the parameters, these sanders can be very useful in the workshop, especially with the range of new materials and techniques we are being urged to try out. This is a relatively small machine so will fit comfortably on the end of a bench, or even under a work surface to be brought out when needed. 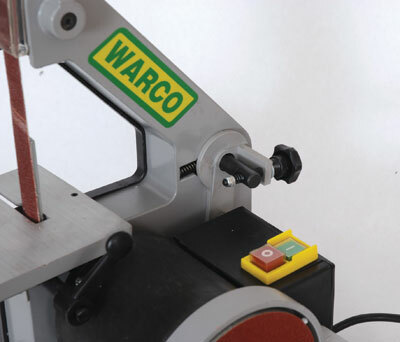 It can be used for shaping wood, metal or plastics and is therefore ideal for a small generalist workshop or a model maker. With a variety of belts and discs, I had fun shaping and trimming bits of light timber, non-ferrous metal, and plastics. The shape and size of the tables is good enough for small components to be shaped accurately, and they are adjustable to enable different angles and faces to be shaped. 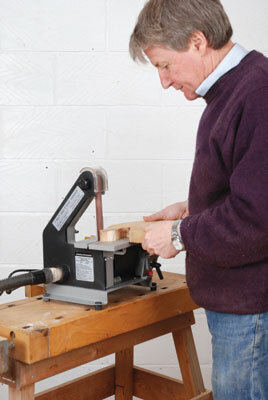 For bigger pieces, it would be advisable to clamp or screw the machine to a work surface. I found that the belt sander was great for getting into odd shapes and for small components where even the small disc was too big to fit in. The sanding with rough belts (60 grit) was really quite aggressive, so some care will be needed with smaller components. Dust extraction worked a treat with both disc and belt - not a speck on the workbench! For a model maker, this little machine would be a good choice. Being compact and light, it is easy to move, easy to store and won't take up too much space on the end of a bench. "For a model maker, this little machine would be a good choice"